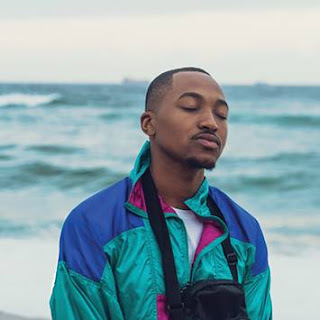 Mi-Stro Records one of SA’s youth driven leading Upcoming Talent Management and Entertainment Record Labels, has embarked on a new chapter, sealing a massive deal with globally represented music powerhouse Universal Music Group. Mi-Stro Records is an independent record label known for providing quality services and support for young artists, leading them to reach their full potential and to compete at the highest level in the music business. Mi-Stro Records is home to some of the most sought-after talents in the local music scene which includes, Champagne 69, Tyrant, Darne, February and Ktyana to mention a few. “We at Universal Music are proud to associate with Mi-Stro Records and trust the relationship will be a fruitful one. We are looking forward to unearthing new and exciting talent and establishing Mistro Records in the South African music industry and Africa at large,” expresses Themba Mgcina of Universal Music. The deal with Universal Music will see Champagne 69, Darne, Tyrant, Febuary, KT’yana, Wave.Gang, Roy Charamba, Blayze DeVille and Yan Solo expand their brands. They will also benefit from a suite of services provided by Universal that will focus on brand extension locally and across the African continent, as well as in territories with Pan African interests. “We are very delighted to work with Universal, further expanding our reach and growing in the industry. This deal will magnify our strengths and certainly be beneficial to both us and Universal Music Group. We aim to make a long-lasting impact in the music industry by taking the South African youth to the next level,” expresses Nkululeko Mayiyane, Director and Co-founder of Mi-Stro Records. Bringing a fresh approach that has surely signal a new era in the local music scene.